I celebrated my 39th birthday last week and now I’m really looking forward to my 40th and the start of a brand new decade. My 20s was about making two big life choices and having my first baby. My 30s was all about having four more babies and having a lot of the assumptions I’d held from my teens and 20s corrected for me. I was hoping to do something special in my 40th year, and then my mother-in-law pointed out that in fact this is my 40th year! So I decided to think of 40 things I’d really like to do (and could reasonably achieve) this coming year. Things that would be fun, or challenging, that I might have thought of doing but always put off. 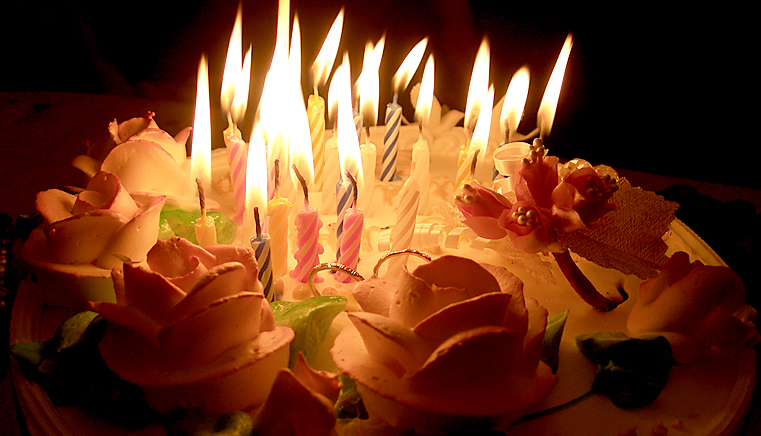 Things that I’ll be glad I’d done when it comes times to blow out the candles again next year. All enthused, I grabbed paper and a pen…..and could only think of five things! How boring am I? “Bridge Climb?” offered my 10 year old, cheekily. I’d just turned down my mother’s offer of a guided climb up the Sydney Harbour Bridge. To me it seems like a lot of expense and effort to get an admittedly gorgeous view of the harbour city, which is equally gorgeous from any angle. Maybe another time. “Write your children’s book,” said my husband. Ok, that’s six. “Go on a cruise, said my eight year old. ” I’d love to but that’s more of a five-year-plan kind of goal right now. It was harder than I thought to come up with a list. But the next day I had it. I’m going to need help with some of these, but I think this challenge will be really fun and with some creative approaches hopefully I’ll cross off a couple of major things I’ve always wanted to do. My list of 40 things I want to do before my 40th birthday next October. 7. Try pilates DONE CORE STRENGTHENING EXERCISES A FRIEND TAUGHT ME – SAME THING! 24. Go to monthly confession and reconciliation GOING WELL! I’m breaking my own rule here of not writing myself long to-do lists, but this is different. ** UPDATE: Why not make your own list? I’ve written a follow-up post describing how I came up with mine and how I made sure it reflected my values and helped me move towards my biggest and most cherished life goals. See my checklist of 8 simple questions to ask when setting a 12 month goal. PS. This worked so well I’ll making 12 month goals more regularly. We can support each other if you want! Subscribe by email using the box in the footer section below and you won’t miss a post. Well I thought I left a comment but it doesn’t seem to be showing up. I thought your 40th thing could be to meet another blogger or someone that you have meet online but not in real life. I have meet a couple of bloggers when I have travelled but living in Sydney, there would probably be someone you could organise to meet for an afternoon somewhere. Good idea, I have met a few, most recently Sue Elvis of Stories of an Unschooling Family and Laura McAlister from Catholic Cravings. Both very talented, but I guess we’re a pretty creative bunch! Thanks for the ideas Jacqui – and go for it! It’s such a long list that it makes you get cracking. I’ve already done one thing just yesterday – getting a beautiful dining setting through Gumtree. I’ll post a photo when it’s set up. Some suggestions: Learn to play the ukelele; have a conversation with a person living on the streets; volunteer as a dog walker for the RSPCA (you can do this with 15-17); visit a mosque; visit a nursing home; go for a leisurely walk in the (pouring) rain (with a smile); spend the first ten minutes of every day laughing; write a letter to someone in prison; give blood; sit and listen to a struggling busker for five minutes (then give them a big applause and a fiver); go busking with your newly learnt ukelele skills.